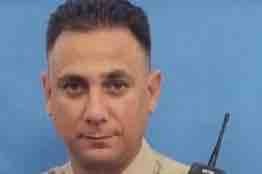 Officer Steven Greco, having worked a DUI and speed enforcement detail, continued to work his shift for a total of 12 hours. A reckless driver was driving northbound in the southbound lanes at an excessive speed. The driver struck Officer Greco's vehicle causing a crash. Officer Greco's injuries were non-survivable. Officer Greco had been awarded the Department Lifesaving Award and the Officer of the Month on the day of his death for saving the life of a motorist, rescuing him from a burning vehicle. Officer Greco was posthumously promoted to the rank of Police Sergeant. Please give what you can to support this young family in their time of need. Phoebe Greco gave birth on 03/08/19 to a beautiful new daughter, Steve will never meet his daughter. Giana will never meet her dad. We now have raised over $16,500. We are still far from our goal. Can you give again? Maybe one hours’ pay? Please ask your friends to donate and share. 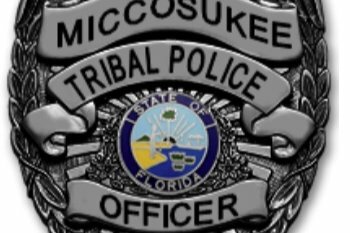 The Miccosukee Tribe will match donations.